Welcome to our 2018/19 list of dog-related events and festivals coming up in Ontario and other parts of Canada. This page is updated regularly so if you have any you want added to share with readers, please let me know via email or in the comments section of http://www.dogtrotting.net. What dog event can I attend near me? The first of maybe many educational events designed for pet parent to learn about pet behaviour and professional grooming from industry experts. Two educational sessions, one at 11:30 am about behaviour issues and one at 1 pm about grooming. Fifteen percent of the proceeds will be donated to the Ontario SPCA. Unfortunately, pets are not allowed to attend. Admission is free but it’s recommended you register in advance for the seminars. 11 am to 3 pm. Ontario SPCA Provincial Education & Animal Centre, 16586 Woodbine Ave., Stouffville, Ontario. Westies in Need Rescue invites you to the Westie Indoor Play Day! Most small dogs are not big fans of winter weather and Westies are no exception. This is an indoor FUNdraising event with lots of space for your dog to run around and have fun off leash while you check out the fabulous sales table. Westies in Need Rescue always have great stuff for sale. Join the group for a good run around with other Westies and Westie Wannabees on Sun. Feb. 25 from 2pm – 5pm at the Orangeville Fairgrounds, 247090 5 Side Road, Mono (near Orangeville), Ontario. Can’t get to Westminster? See the breeds you love and meet the breeders at the Scarborough Kennel Club Dog Show. Family friendly and free admission, but only dogs entered in the show are allowed in. Orangeville Fairgrounds, 247090 5th Side Road, Mono, Ontario. 8 am to 5 pm. Easter egg hunting, live entertainment, activities and pet-friendly vendors, the first annual Barkworks has a goal of attracting at least 350 dogs at the event. 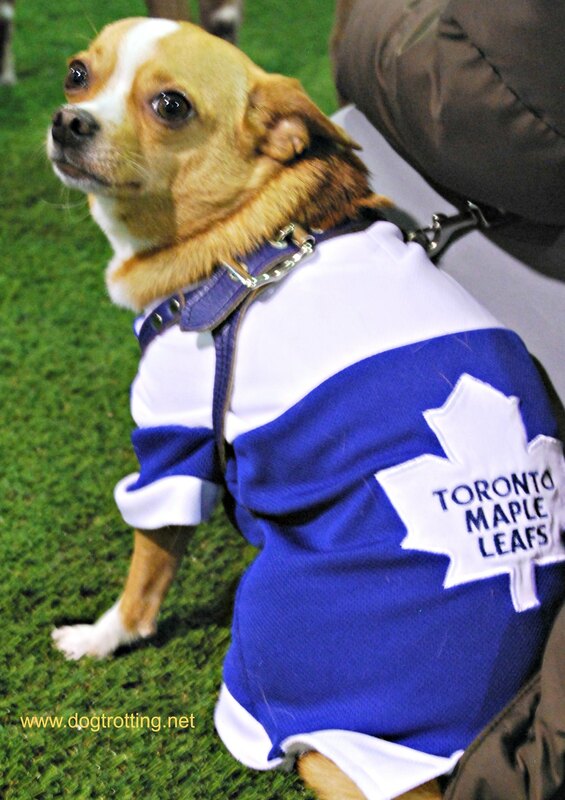 They also plan to Toronto’s largest outdoor dog festival aligned with a charity – the Toronto Humane Society. Tickets are $15. Evergreen Brickworks, 550 Bayview, Toronto. 11 am to 4 pm. Organizers are promising that this year, this show is the biggest ever. This pet related trade show is held annually Easter Weekend at the International Centre near the Toronto airport. Pets are welcome and it’s host to Canada’s largest Cat Show, Ontario Cavy Club Show, Jock Dogs, Dog Lovers Days Lure Course and Air Dog performances. For advice on how to navigate the show, visit my review here. Tickets are $18. Check out previous coverage on dogtrotting.net. Bring your dog to the dog to this expo focusing on primarily vendors but presentations too from Canine Good Neighbour, Woof Jocks and a pet costume contest. Saturday 10 am to 6 pm and Sunday, 10 am to 5 pm at the Kitchener Memorial Auditorium Complex, 400 East Ave., Kitchener. www.kwpetexpo.com Check out what we bought at the first KW expo. Park & Bark is a street party along Yonge and Davisville Streets in Toronto. Called a “puppy party,” it has dog product and service vendors, speakers, sampling, contest and music as you walk your leashed dog along a city street. Yonge and Davisville, Toronto. Free. 9 am to 3 pm. COPE Service Dogs is sponsoring a Mother’s Day High Tea at 11 am that includes High Tea with all the trimmings, live music, a fashion show and a visit from COPE Dogs. COPE Service Dogs is a charity that raises money to train service dogs and supports a reading buddy program. Unfortunately, no fur buddies can attend. Cost for people is $50. Liberty North Event Centre, 100 Caplan Avenue, Unit 1, Barrie, ON. The 8th annual Petapolooza is hosted by the City of Pickering to raise funds to build a permanent animal shelter in the city. The day includes WoofJock and agility demonstrations, 40 vendors and rescue groups present and food trucks. Head to the Upper Leash Free Area at Grand Valley Park, West end of Concession #3, Pickering. 11 am to 4 pm. Dogs welcome. Admission $5 per person. Apparently, it’s earlier this year – actually in the summer Canada’s best known dog festival is celebrating 16 years this time at Woodbine Park in Toronto’s trendy beaches. Admission is free and dogs are of course welcome. Join tens of thousands of other pet lovers for this two-day event of vendors, demonstrations, fashion show and fun. Toronto, Woodbine Park, www.woofstock.ca. Admission is $10. Spend a day with your fur babies among vendors and other dogs. Free lure course provided by Run Spot Run. Proceeds going to Tiny Paws Rescue & Wienerfest. Downtown sidewalk sale too. Downtown Woodstock in Museum Square. This event is a family-focused fun day at the farm and fundraiser for Pound Dogs Rescue. A group walk around the grounds starts at 10:30 and there’s demonstrations, silent auction and vendors. WRPA Recreation Centre, 1128 Rife Road, North Dumfries, Ontario. 10 am to 4 pm. www.pdrhowler.ca See a previous year’s event here. A new dog festival in the area and fundraising effort for the Sarnia-Lambton SPCA. Located on the 50-acre property of Fox and Hound Retreat, the festival includes doggie activities such as agility zone, 42-foot diving pool, and Jack Russell races (move over wiener dogs). 10 am to 4 pm. Admission is $10. Fox and Hound Retreat, 2437 Michigan Lane, Sarnia. The 34th annual fundraiser for the London Human Society includes: Dog lure course, Sparky’s dock diving, Ultimutts Stunt Dog performances, Cruisin’ Paws Agility shows, Off-leash pond area, Bouncy castles, Silent auction, 50/50 Raffle, WestJet “Gift of Flight” Raffle and Dozens of unique product and food vendors. Parking is $15. Plunkett Estate, 9282 Elviage Drive, London. 10 am to 4 pm. Wienerfest Home County Festival in Woodstock, Ontario celebrates all things dog and dachshund in the form of a fundraiser for local shelters. 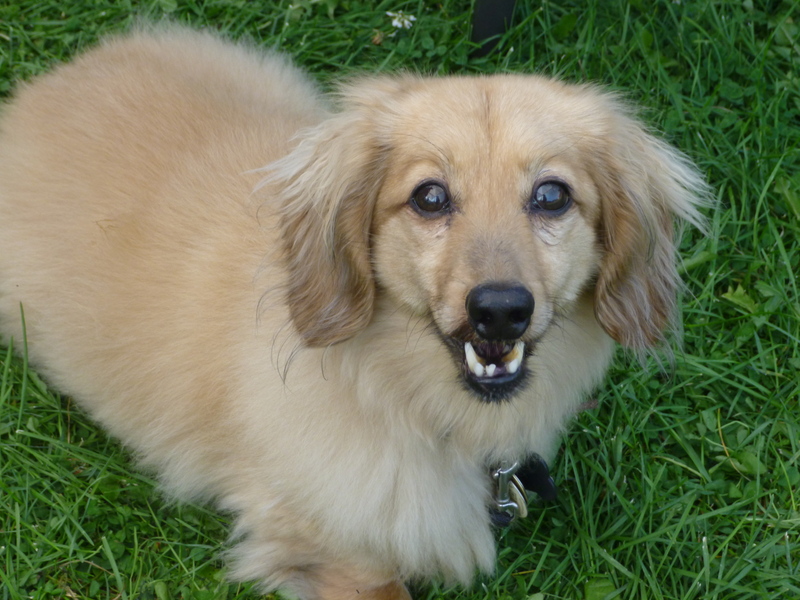 According to the website, Wienerfest Home County Festival is Canada’s largest breed specific event, focused on Dachshunds. It’s a free family and dog-friendly event, that provide funding for pet rescue and raises awareness for the plight of abandoned and abused animals in Canada.There will be many fun events, such as the ever popular Dachshund Races, as well as costume contests, and professional photo opportunities with the “wienermobile.” All breeds of dogs welcome at the Woodstock, Ontario. www.wienerfest.ca. The 3rd Annual Ruff Mudder Canine Obstacle Adventure 5km obstacle course for you and your dog is on again. That’s right, you can run a 5k with your dog over 80+ obstacles through forest and field. Then chill out at the largest Doga Class – yoga with your dog. This year, hopes are high to set a Guinness World Book of Records for the largest doga class. $60 per person for Mudder, 4 for $120 and a pack of 10 is $500. Participating in Doga at 1 pm is free. 6725 Hwy 26, Stayner. Year four and Pawz in the Park is happening in Lakeside Park in historic Port Dalhousie (now part of St. Catharines). The idea is to enjoy the beach with your dog, ride the carousel and participate in Dog Lovers Days activities such as lure course. Aqua dog events are also there and organizers are asking participants to register by May 20. Pawz in the Park. Picture it: a 15-mintue walk along the Bruce Trail through the Niagara Forest and at both ends is a winery – that’s the Muddy Paws event at Vineland Estates Winery 3620 Moyer Road, Vineland and Featherstone Estate Winery, 3678 Victoria Ave., Vineland. Start at either winery, walk the trail to the other with your well-behaved leashed dog and enjoy a glass of vino at each end, along with music, food sampling, NRP K9 Unit, and obedience training demos by Dave McHahon’s Dog Academy. 12 to 5pm. Tickets are $20 plus tax. www.muddypawswine.com Check out our adventure. Doggie Paddle Beach Fest – what a great name for a dog event. (Check out our experience here). The third annual Doggie Paddle will include beach play zone (whawhoo! ), off-leash play, food trucks and beer tent, vendors (of course), and lure course – all on the beach. Canatara Park, 1200 Lake Chipican Drive, Sarnia. www.doggiepaddlebeachfest.com. The 16th annual Dog Days of Scugog, Durham’s largest dog event taking place at the museum from 9 am to 4 pm. 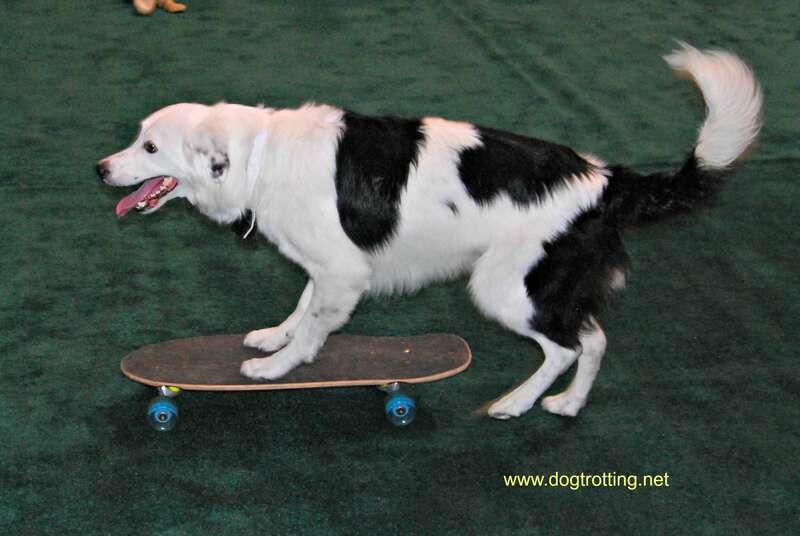 Enter contests, let your dog try an agility course, meet breeders and rescue organizations. Check out WoofJocks Canine All-Stars, Disc Dogs, Sporting Detection Dog demonstrations, and Scugog Disc Dog races. Admission is $7. The Scugog Shores Museum Village, 16210 Island Rd., Port Perry. City of Vaughan’s Premiere Dog Festival Woof-a-Palooza promises fun for you and your dog. Contests and Prizes. Amateurs Welcome: The Pup’A’Razzi Fashion Show starts at 12 pm and The Dogs of Vaughan Got Talent Contest 2 pm. Registration the day of the event. Vendors and free doggie swag bags – limited quantities so arrive early. 10 am to 4 pm, Vaughn, Ontario. Doga sessions 11 am and 2 pm. Dogs are welcome at the Wellington Brewery for one day only in support of Fred Victor social service organization helping change the life of homeless people. Come out for a pint and a tour. Organized by Spears & Shears Pet Expo, 950 Woodlawn Road West, Guelph. 2 to 5 pm. A ‘wienerific’ dog event in support of Canadian Dachshund Rescue of Ontario (CDRO) including wiener dog races, games and costumes, BBQ food, raffles, silent auction and shopping. All dogs welcome, not just wieners. 11 am to 3 pm. Confederation Park, 585 Van Wagners Beach, Hamilton. Three days of sheep dog events, trials and competitions herding sheep along with other doggie attractions including Canadian Canine Lure Course, zoo-like animal encounters at “Zoo to You,” Rideau River Dock Dogs, agility, K-9 demos and crafts and vendors. $15 or $10 for tickets online. www.kingstonsheepdogtrials.com Grass Creek Park, 2993 Highway 2 East, Kingston. Check out our 2018 experience here! The second annual Mutt Masquerade dedicated to dogs and dog lovers of Stouffville takes place August 25, 11 am to 3 pm at the Stouffville Leash Free Park, Rougeview Ave. Sponsored by Free The Pooch, Whistle FM, Life Force Pet Health, Trentadue Torres Real Estate Team and Scruffy Muttz. The annual Wiggle Waggle Walk fundraiser for the Hamilton-Burlington SPCA takes place from 10 am to 2 pm along Hamilton’s Bayfront Park. Always fun and plenty of participants with a dog obstacle course, police service dog demonstration, dog tattoos (temporary of course), a doggie kissing booth, dog obedience class, vendor market, food trucks, silent auction, bouncy castle,. www.hbspca.com Check out our previous year’s fun here. An annual family-friendly dog festival. Bring your dog for a swim in the Gorman Outdoor Pool ($5 per dog). Also, there’s a dog diving show, lure course thanks to Dog Lovers Days Lure Course, kids zone and 75 pet-themed vendors. Lions Park, 424 D’Arcy Street, New Market. 10 am to 4 pm. Another Canadian Fall Pet Festival added to the growing list of pet expos happening in Toronto. Join a conference centre full of vendors, rescue organizations and demonstrations. 9 am to 6 pm. International Centre, 6900 Airport Road, Mississauga. Check out our previous experience at the festival here. Bring your dog to Fanshawe Pioneer Village for A Day for Dogs. The living history outdoor museum opens its doors to pooches and other pets providing a day of agility courses, vendors, professional photography sessions, off leash play area, and talent show. Sponsored by Crusin’ Paws Agility. Fanshawe Pioneer Village, 2609 Fanshawe Park Road E., London. 10 am to 4 pm. Admission $7. Registration for the Westie Walk & Fun Day begins at 10:00 am. The Westie Walk is followed by our Parade of Rescues, Races, Contests, Silent Auction, Shopping & Cake. Westies & Westie Wannabees are all invited to have a Westie-ful time & raise much needed funds for Westies in Need. Mississauga Valley Park, 1275 Mississauga Valley Blvd, Mississauga. A walk-a-thon in support of the Peterborough Humane Society in Beavermead Park. Walk with your dog along a 1K or 2K trail. A $5 barbeque lunch for participants is available along with door prizes and photo booth. Registration starts at 10 am and the walk starts at 11 am. Sign up on line. Peterborough Humane Society. Apparently, Bark-toberfest is Octoberfest for people and dogs with vendors, beer gardens and a Golden Kissing Booth sponsored by Golden Rescues. Get ready to polka. 8 am to 4 pm. Pinery Antiques Flea Market, (Highway 21), 10163 Lakeshore Rd., Grand Bend, Ontario. Take your pup on a 5km walk starting at the PetValu in Markham and get a free t-shirt. Vendors and non-profit organizations will be there. Admission is $30 and proceeds go to Animals Asia, The Save Moment and ZooCheck. PetValu, 3987 Hwy #7, unit 3, Markham. 10 am to 5 pm. Join DogFest , a dog/human walk-a-thon in support of The Riverwood Conservation Area and Mississauga Animal Services. In addition to the walk, there’ll be vendors, displays, and activities for your dog. Rain or shine. Registration in necessary. The Riverwood Conservancy, 4300 Riverwood Park, Mississauga, 11 am to 2 pm. Check it out here. Bring your dog out to a fundraiser for CanFix, Dogtober Fest will focus on activities such as a scavenger hunt, BBQ, interactive animal art area, baked goods sale, beer tent, trails, portrait sessions and doggie ball pit. Admission is $5 (plus $5 for a flight of beer). 45388 Dexter Line, Central Elgin, Ontario. Bring your pets to this consumer tradeshow. Top Pet Model winners in attendance, vendors, Grey Cup Pup event and win grooming for one year. EY Centre, 4899 Uplands Drive, Ottawa. Admission is $15. Ottawa Pet Expo. This is an annual fundraising event for a Boston Terrier rescue group. Join Boston Terrier fans (you don’t have to be a Boston to participate) as they celebrate the spooky holiday with a dog costume parade and a people meet-and-greet. Barks ‘n Rec Dog Daycare, 1590 Matheson Road, Unit 8, Mississauga. Admission $10. One of the city’s largest pet expos filled with vendors, breeders, rescue organizations and stage demonstrations. Pet Expo Edmonton is pet focused; however, not pet friendly so leave Fido at home. Saturday 10 am to 6 pm, Sunday 10 am to 5 pm. Edmonton Expo Centre. Admission $15. This is the weekend of the annual Calgary Pet Expo celebrating all things pets with plenty of vendors, demonstrations and shows. www.calgarypetexpo.com. People but no pets allowed. Spruce Meadows Equiplex, Saturday, 10 am to 6 pm and Sunday, 10 am to 5 pm. free parking. Bring your dogs to the 14th Annual Doggie Expo. The Expo will showcase the largest display of canine vendors in Atlantic Canada, dog rescue organizations, pet photography, and dog apparel suppliers. 10 am to 4 pm. Admission is $5 for adults. Dartmouth 4 Pad, 261 Commodore Drive, Dartmouth. What started as a grassroots effort by the non-profit Boston Terrier and Pug Rescue of Southern Manitoba, the Manitoba Pet Expo has grown into a large annual province-focused pet expo and trade show featuring business vendors and many local rescues. Admission is $3 per person. St. Norbert Community Centre, 3450 Pembina Hwy., Winnipeg. 10 am to 3 pm. Did We Miss Your Favourite Pet Event? President’s Choice Superdogs – For over 35 years, according to the website, SuperDogs® has captured headlines across the globe as America’s most beloved feature attraction at international-level events. Touring constantly across North America, the show consists of the family pets of over 150 experienced trainers. Tour 2018 highlights include K-days in Edmonton, July 20-29; Saskatoon Ex, August 7; The Ex in Toronto, August 17-September 3; The Great New York State Fair, August 22-September 3; and the Caledonia Fair, September 28 – 30. For a complete Canadian schedule: www.superdogs.ca and For a complete American schedule: www.superdogs.com. If you are looking for pet events in the United States, check out our NEW Dog Events USA page on Dogtrotting.net. Also the Durham Quarter Master Run July 27 allows dogs to run. Wiener-Paw-Looza, Hamilton will be held on August 10, 2019 at Confederation Beach Park in Hamilton. Thanks I’ll add it to the list. Hi, I have an event and thank you in advance. Would you like to get in deeper touch with your dog? Join us in Kitchener and improve your dog’s confidence, focus, performance and trust. This is beautiful, mindful, connecting work. With Sue Becker, Certified Tellington TTouch Practitioner, Registered Bach Flower Animal Practitioner and Animal Communicator. Email suebecker@cyg.net for workshop flyer.